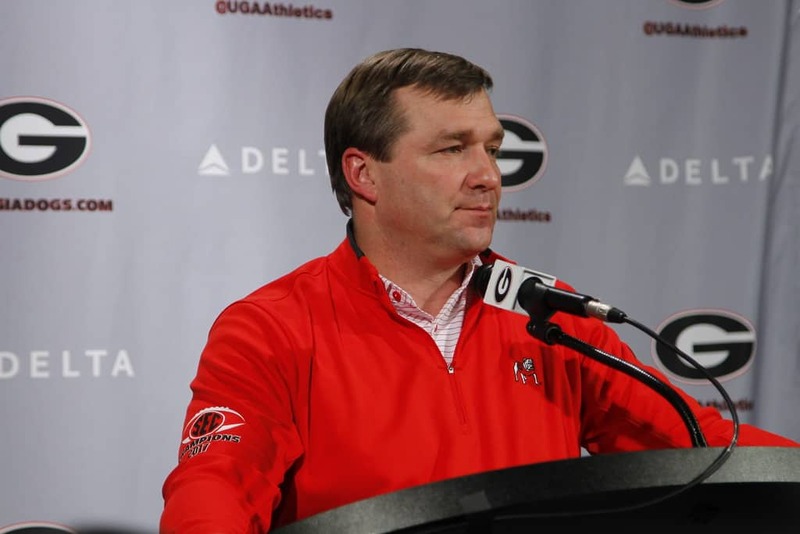 ATHENS, Ga. — University of Georgia head football coach Kirby Smart met with media Wednesday afternoon to talk about the Bulldogs’ signees in the 2018 class. He offered the following comments. “Excited about today. You know, it was kind of anti-climactic with the fact that we had had most of the guys signed as mid-year guys. A lot of early enrollees, a lot of early signees, but I think one of the things that helped us today was the fact that we knocked a lot of the work out in December, and I think any time you’re able to do that, you’re really able to focus your attention on 2019, 2020. We had a lot of junior days and sophomore days in here on the Saturdays leading up to today, so that was a big advantage for us to get ahead. But we were able to focus a lot of our contact attention on the four or five guys we needed to target for the remainder of our class. Obviously, I’m excited about the class, and I know all you guys want to talk about the ranking. That really does not float my boat or this staff’s boat. I don’t think that’s what’s important. What’s more important is the quality of kids we were able to get, both academically and athletically. That’s what excites me most about them, the fact that 10 of these guys got over a 3.0 core GPA. We haven’t had that in a long time. The fact that three of these guys got offered scholarships to Ivy League schools, that impresses me a lot. 25 of these 26 played multiple sports, and I think we all know the indicators of playing multiple sports. Thirteen of the 26 played for a state championship, so when you start looking at those things, they’re winners. They’re a tight-knit group, really unselfish. Some of these kids went and watched other kids in the state championship game. Several of them went to other guys’ surgeries when they had surgeries for injuries, which we had several guys have. They’re a unique group. I’m excited about them. But the chore for them is to get past this and move on, and I’m excited about what they bring to our team, but they’ve also got a lot of big shoes to fill of some great young men that just left our program. “Tyson Campbell, what’s not to love? First of all, he’s an extremely high-character kid. This process took its toll on he and his family because he’s a great kid. 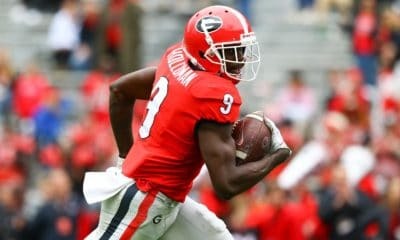 He’s from a wonderful school that’s supplied the University of Georgia with some really good players, from American Heritage, and he’s a bright-eyed kid that enjoyed the process. He’s a great track athlete, 10.4 100 meters, and I don’t know if you know much about that, but that’s faster than pretty much anybody we’ve got on our team right now, and he’s big. So he’s big and he’s fast. He’s a 20.8 200 meters. I mean, the guy can fly, and he’s really competitive. Obviously we know what the stature and the size bring, but more important than that on Tyson Campbell is his intangibles. There’s some other good DB’s that we’re able to bring in. We’re really excited about the DB’s as a whole. It’s an area that we felt like we could improve our team, and we were able to do it through recruiting. “We’re excited about both the guys coming on the staff. Scott, obviously you guys know and are familiar with from being in our area. I think Scott Fountain does a tremendous job. He was probably one of the biggest assets in our program last year. Everybody has made a big deal about the turnaround in special teams. He was really responsible for coaching our coaches, and he was able to bring us, and me, some ideas to how we practice and some innovative things that he’s done, changing what days we did different things, and just organizational things that I thought really helped us. With that, we were able to move up in special teams rankings and do a lot better, and to have him back I think is phenomenal for us. 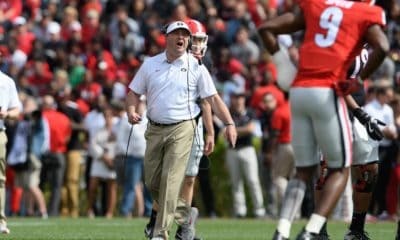 I think he’s proven to be a really good recruiter throughout the state of Georgia and also in Florida where he’s had some success. So we’re excited to get him and his family back to University of Georgia. I know the coach over at Prince Avenue is really excited because he gets his kids back, so he’ll have two starters returning there. “Absolutely. We think Jordan is a tremendous football player. Has great size and great toughness. Same thing with Tramel. 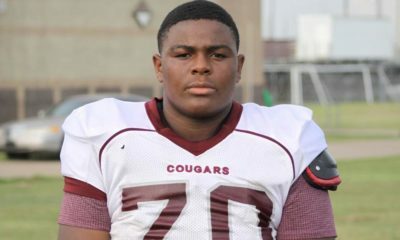 I think it’s a position of need for us, so those guys are going to fill a great role for us because when you start looking at the SEC, the defensive line is what makes a difference in all these teams, and that’s where we want to be. We want to have big, physical guys that can rush the passer and push the pocket, and we think both those guys give us that. I do want to finish up with one note. 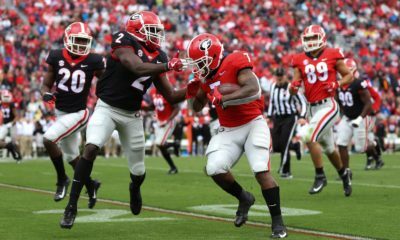 I want to call out the Dawg Nation and call out all the fans because you really think about the tremendous job and give them a thanks, as we went across the country and played literally across the country, and we went to Notre Dame and played, played at Vanderbilt, played a lot of games where our fan base turned out and did a tremendous job of supporting, I think that really helped us with recruiting. But now G-Day is on Saturday, April 21st. As we all know, every team that gets a new head coach in the SEC, what is the mantra, what is the battle cry for their fan base to turn out and really represent their teams. We need our fan base, who has done everything we’ve asked them to do, to turn out April 21st at 4:00 and be out there for G-Day in what we expect to be another sellout, packed opportunity to go out and represent University of Georgia and show these kids in recruiting that it does matter and it is special here.